A version of this article appears in The Los Angeles Times with the headline: Larry Clark turns life into art for photo exhibit at new United Talent Agency gallery. Larry Clark makes art out of real life. It’s not always pretty, but it aims to ring true. This is evident in Clark’s new solo show, which opens Saturday as the inaugural exhibit inside a new 4,500-square-foot complex created by United Talent Agency called UTA Artist Space. The filmmaker and photographer, 74, said that even though he has staged many shows in more than 50 years, this one has him more excited and nervous than he’s been in a long time. “This is personal work — work that people haven’t seen,” Clark said recently by phone of the 50 works exhibited in the new venue in downtown Los Angeles. The new space is the work of Joshua Roth, who came to the agency in 2015 to start its first fine arts division. Roth, a fan of Clark’s and an art collector, asked Clark to create the first exhibit. Clark is not a UTA client, and Roth intends to feature artists of various genres regardless of affiliation with UTA. Clark is best known for his edgy documentary-style photographs of youths getting high as well as for his film “Kids,” a portrait of teen aimlessness, debauchery and sexuality that shocked and disturbed audiences in 1995. This solo show contains eight paintings that Clark created while shooting his latest feature film in Paris and while recovering from spinal surgery in New York. Never-before-seen photographs include ones Clark made in the early 1960s, when he was shooting the gritty black-and-white images of friends hanging out and doing drugs — pictures that formed his groundbreaking first book, “Tulsa.” These are complimented by a looped screening of a film he shot on 16-millimeter film using a Bolex camera in 1968 featuring the same kids and subject matter, and bearing the same title. 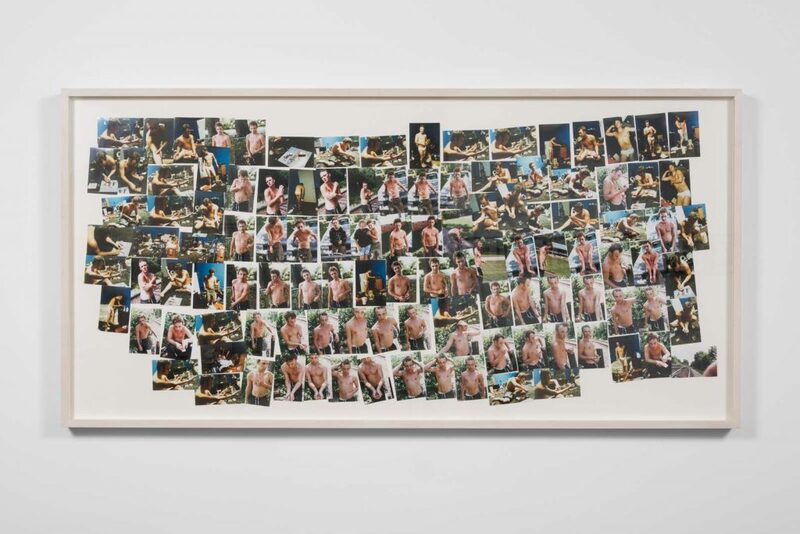 The photos in the collages are gripping and tragic, given that Renfro died of a drug overdose in 2008. Renfro is shown shirtless, glassy-eyed and manic, shooting up cocaine in his underwear in a messy bedroom in his grandmother’s house in Knoxville, Tenn. Clark found Renfro like that after his 18th birthday, when the director drove from New York to pick up the young actor and take him to Florida where filming for “Bully” was to take place. Eventually Clark drove Renfro to Florida while the actor detoxed, having seizures along the way. The director hired two people to watch Renfro 24/7 during the making of the film, but Clark said the actor slipped them one night, found a dealer, took a yacht for a joyride and landed in jail. It was front-page news. In 2005 Renfro would again make the news pages, this time in Los Angeles after getting swept up in a drug bust on skid row. Clark loved Renfro and laments the path his life took. The actor told Clark that he had cleaned up his act, but Clark — no stranger to drugs himself — knew better.